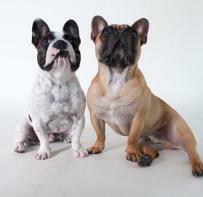 Founded in 1983 our club is the first breed club established for French Bulldogs in Australia. More than 30 years on FBCNSW continues to thrive and so does the breed Down Under. Membership is strong with approximately 70% show/breeder members and 30% pet owners. If you are interested in becoming a member please find an application form on the club documents page. 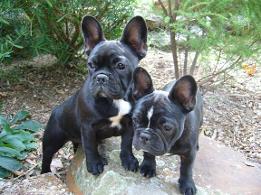 Members receive free with their membership our bi-annual club magazine Le Bouledogue Francais. FBCNSW hosts two Championship Specialty Shows each year ~ one in April and one in September. Our club is proud to offer exhibitors the opportunity of showing their dogs under some of the leading international breeder judges in the world! Over the years these esteemed judges have assessed and critiqued our dogs, bringing with them a wealth of knowledge and experience which can only help us all in our aim to breed healthy, quality French Bulldogs. 2019 will be no exception. 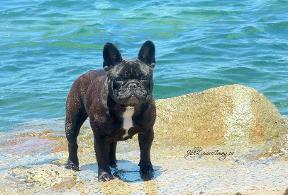 Annual Frenchie Fun Days are held once a year - always popular and always fun. You can also keep uptodate with what's on via our Facebook page. FBCNSW is proud to be associated with and sponsored by Royal Canin. 2019 will be the 16th consecutive year of sponsorship by Royal Canin. Our club is very appreciative of their continuous support over the years.